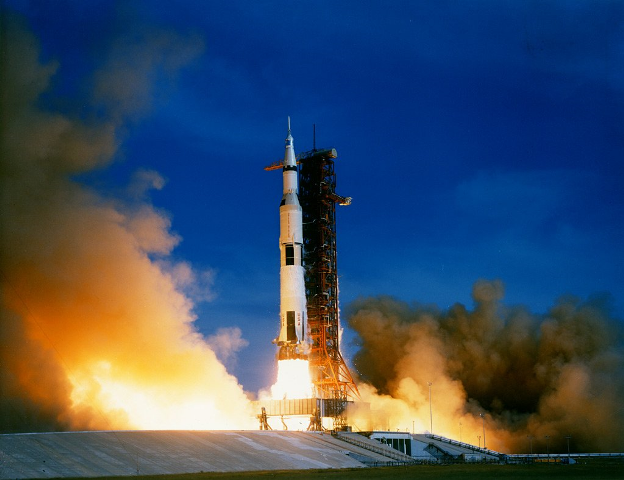 Acton will recognize the 50th Anniversary of the NASA’s Apollo 11 mission by creating a matchstick model of the Saturn V rocket and the Lunar Module Eagle. The model will pay tribute to the American men, women and machines that resulted in the first successful landing of men on the moon in July of 1969. 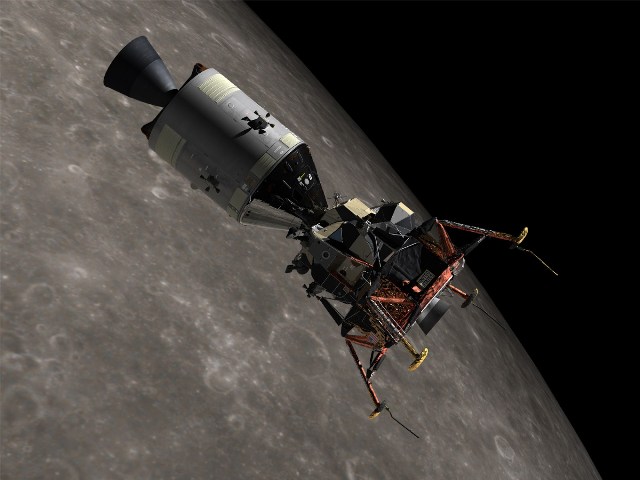 Dramatization of the Command Module Columbia and lunar module Eagle over the moon on Apollo 11. The machines of Apollo 11!